The "Fleet Management Market (Fleet Analytics; Vehicle Tracking & Fleet Monitoring; Telematics; Vendor Services) by Vehicles (Trucks; Light Goods; Buses; Corporate Fleets; Container Ships; Aircrafts) Worldwide Market Forecasts and Analysis (2013 – 2018)", which analyzed and studied the major market drivers, restraints, and opportunities in North America, Asia-Pacific, Europe, Latin America, and Middle East and Africa. 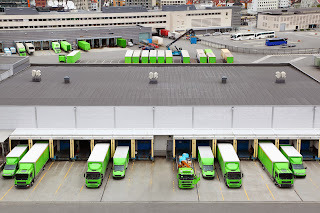 The study observes that the fleet management market is expected to grow from $10.91 billion in 2013 to $30.45 billion by 2018, at a Compound Annual Growth Rate (CAGR) of 22.8% from 2013 to 2018. Learn how Fleet Management can help your business be part of this boom!